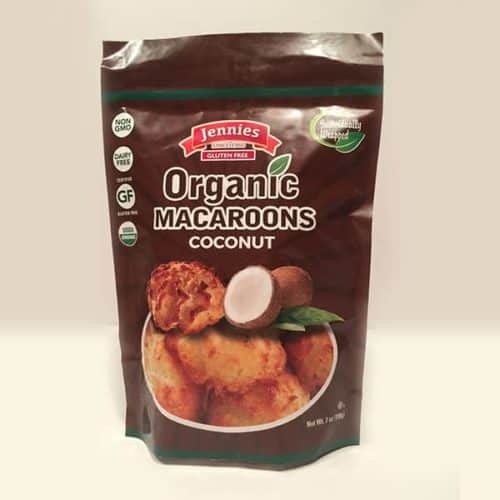 View cart “Organic Coconut” has been added to your cart. 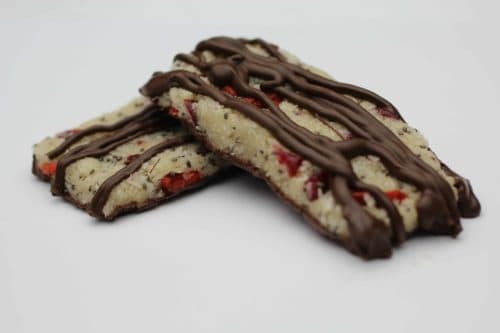 We start with Sulfite Free Organic Coconut, add some Organic Cranberries, Chia Seeds and Goji Berries and then bottom coat it with Rich, delicious Organic Chocolate. 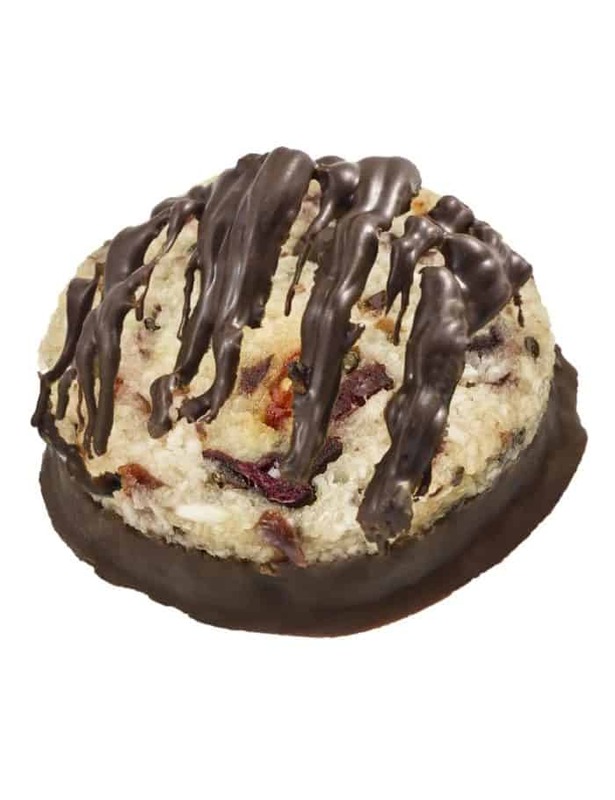 We then drizzle the top with just a little more delicious Organic Chocolate for a clean, but totally decadent treat! I found these at Costco. 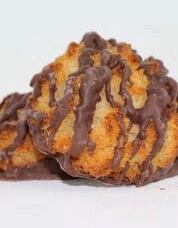 They are the best macaroons I have ever tasted. I went back and puchased 4 more bags. They are so moist and the fact that their organic makes them even better. 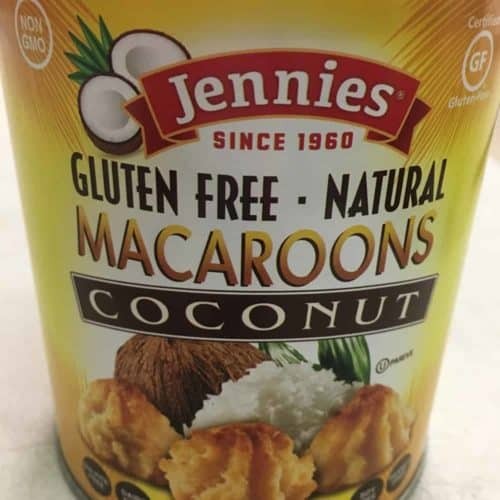 Thank you Jennies for making a healthy and yummy macaroon. 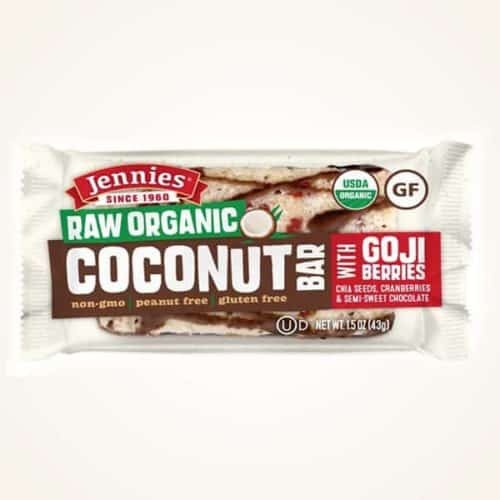 YUMMM, Best ever and Really Great that they are individually wrapped. Found them at Costco, went back to get more and they were Sold out; SO I ordered them on line. Awesome Yummy and Healthy snack. GREAT job Jennies! I found these at Costco as well! If I lived closer to Costco I’d do the same as Robin and buy 4 more bags. I Absolutely LOVE these! They’re a perfect treat that I don’t feel guilty about eating. 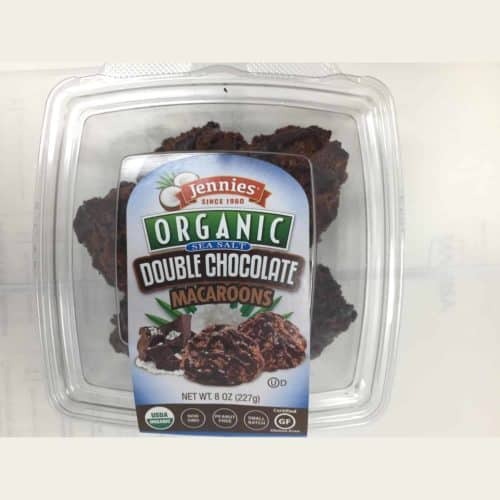 All of the ingredients are good quality and they fit in to my diet easily as a snack or desert. Don’t buy only 1 bag because you’ll regret it! I also found these at Costco. My daughter has multiple food allergies and is able to eat these. We are very grateful to have found such a wonderful SAFE treat for her. They are so delicious! 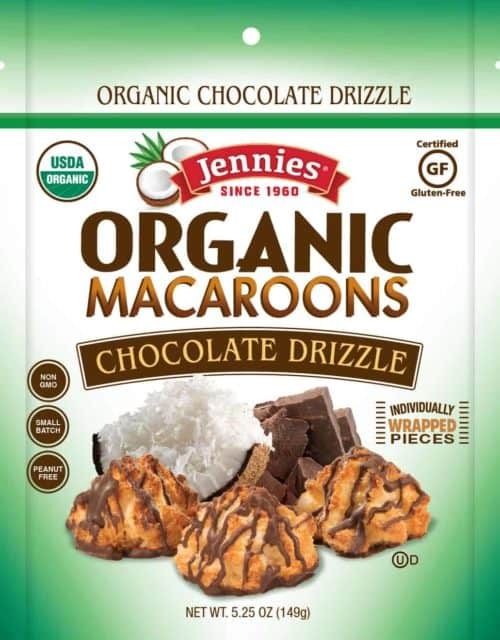 Bought them at Costco and they are the best things I’ve ever tasted! I went back to buy more and they didn’t have them anymore. Who else sells them? Whoa. Got a bag of these sent to me by my daughter after I had a surgery. Wow. These things are great. Addicting. These are AWESOME!!! Used to get them at Costco, but they don’t have them anymore…so now I will buy them here!!! SOOOOOO GOOD!!!! These are absolutely AWESOME! 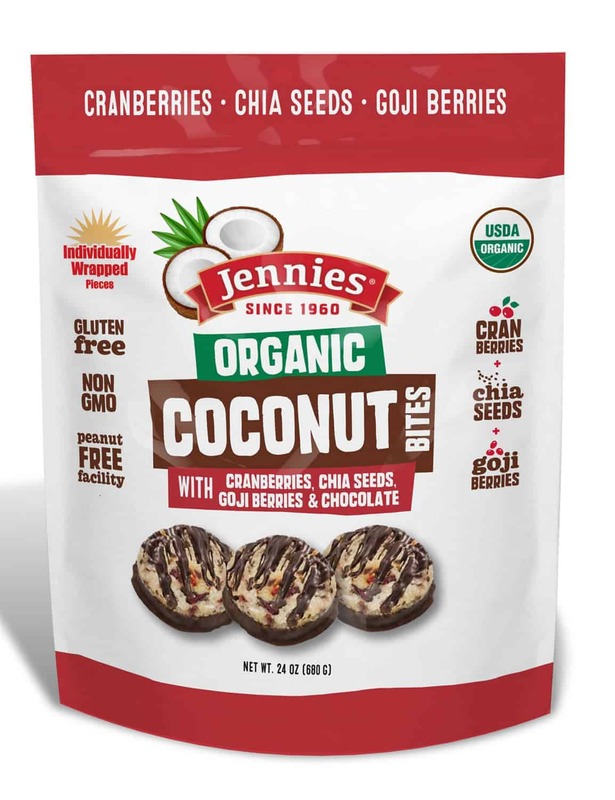 We bought a bag of these from Costco on a whim, and they are incredible. 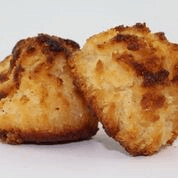 I am addicted to the macaroons I found at Costco! I was dismayed this weekend when I was told by a sampler that they won’t be at Costco apparently, during the holiday season? Does anyone know about this? I’m assuming I can order them on line. 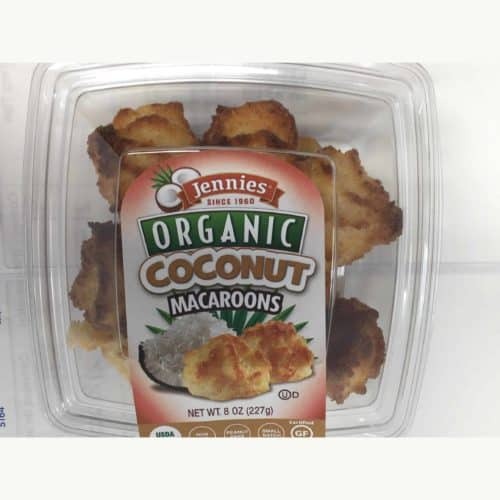 We are so glad you enjoy our Organic Coconut Bites. All our items are available to purchase online.